Just stunning! 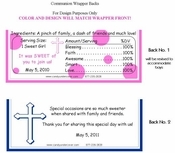 Our First Holy Communion Candy Bar Favors with a photo of your child makes this Candy Wrapper amazing! One of our most popular wrappers! 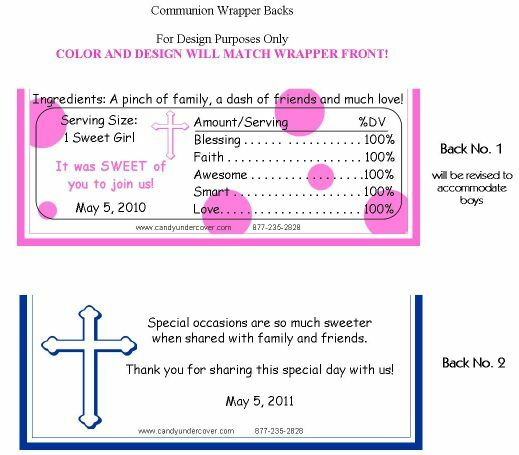 Beautiful black and White, with a hint of Blue writing along with a blue cross are make the perfect 1st Communion party Favor! These candy bars will look fabulous on your party tables!